You may remember the possibility to attach a HANA Database (for example the HANA Express Edition) in a more or less legal way to the ABAP Developer Edition by simply copying one or more database drivers from the HANA Linux system to the ABAP Linux system (just google it, if you want furher information). Last week I was preparing a small workshop for my collegues (“What is SAP HANA”) where I wanted to demonstrate, among other things, this “sidecar” architecture model. Because the last time a set up this kind of scenario is a couple of yeras ago, I couldn’t remember anymore which driver file I had to copy to the ABAP system. But what I could remember was, that a dump would appear with the needed/missing filename in it when I’m trying to call the HANA database from within an ABAP programm. Because my laptop is not _that_ powerfull to run a HANA Database _and_ an ABAP system, I’ve created a HANA instance on AWS (see https://developers.sap.com/tutorials/hxe-xsa-aws-setup.html ) and only my ABAP System stays on my laptop. DATA(sql) = NEW cl_sql_statement( con_ref = cl_sql_connection=>get_connection( 'MYHANA' ) ). 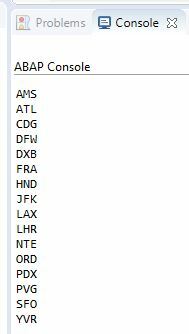 DATA airportcodes TYPE STANDARD TABLE OF char03. DATA(statement) = |SELECT "airportCode" FROM "TRAVEL"."Airports";|. DATA(result) = sql->execute_query( statement ). result->set_param_table( REF #( airportcodes ) ). CATCH cx_parameter_invalid INTO DATA(lcx_parameter).    " But quelle surprise: no dump nor an error message but instead values from my HANA Express database!!!!! 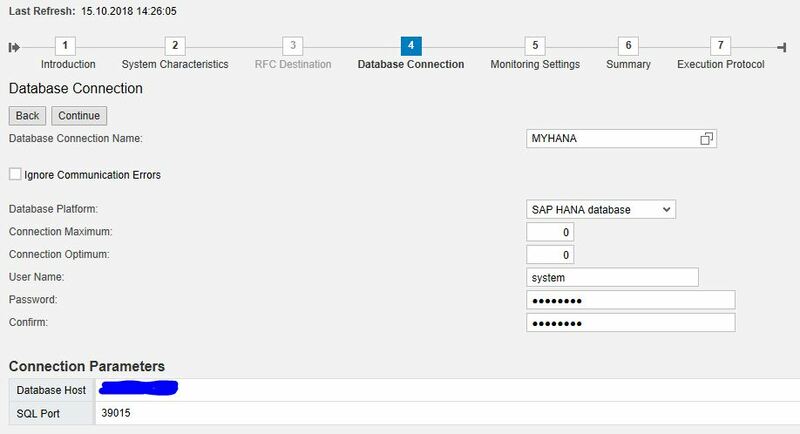 Enter a database connection name (this will be the name you’ll use later in your ABAP program), select “SAP HANA database” as platform, enter SYSTEM as DB user, the password, IP address of your AWS instance (this may change every time you start the instance!) and port 39015. Nice sidecaring, Uwe! I’m super curious now, what are you planning to do with it? Next step will be to connect one of our real SAP systems to our HANA instance.